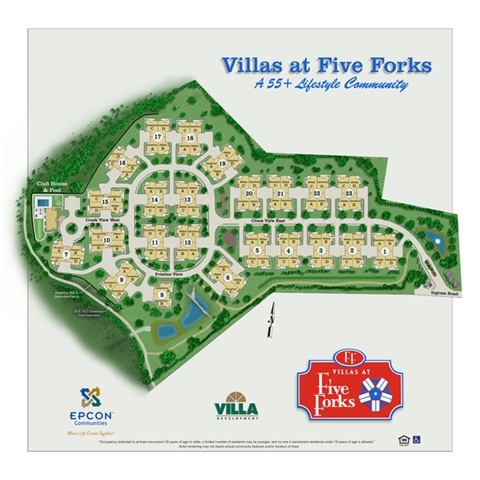 The Villas at Five Forks is a quaint village of just 90 homes offering the finest in upscale condominium living. The award winning homes are designed to offer residents quality, single story living with a variety of condominium services. There are four models available that offer two or three bedrooms. All feature a two car garage as well as a garden patio or veranda. Pricing starts in the low $290’s. Within the neighborhood will be a heated pool and community center with a fitness room. 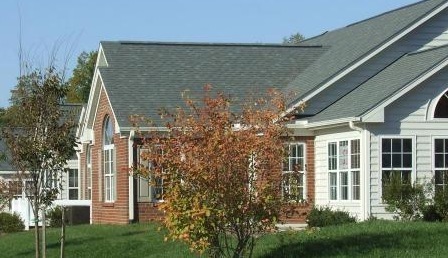 Services provided with home ownership include lawn mowing, fertilization and weed control, landscape maintenance, snow removal ( if it ever snows) and exterior building maintenance. Located in the heart of the Historic Triangle of Jamestown, Williamsburg and Yorktown it is right down the road from New Town and within walking distance to grocery stores, restaurants, shops ,banks, etc. The James and Chickahominy rivers are close by as is the award winning Williamsburg National Golf Course. This upscale community will offer a quaint , village atmosphere with tree lined streets, green spaces with colorful flowers, sidewalks,park benches, lush green lawns and walking trail. Canterbury Details: Single Story, 1860 SF living area, 2 Bedrooms, 2 Baths, Den, Veranda, Two Pantry Closets, Laundry Room, Storage Room, Optional Garden Patio, Attached 2-car garage, Vaulted Ceilings in living room. Veranda, Two Pantry Closets, Laundry Room, Storage Room, Attached 2-car garage, Vaulted Ceilings in living room. I would be happy to answer your questions but you already have a Realtor. I would suggest he/ she cotact the builder directly. 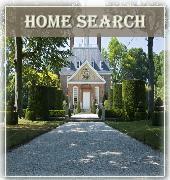 Why isn’t your current Realtor asking the questions and getting you the answers ?